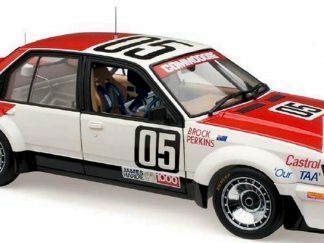 Home / Models / Make / Holden / Commodore / *Holden VN Commodore SS Group A Larry Perkins and Tomas Mezera, 1991 Tooheys Bathurst 1000. 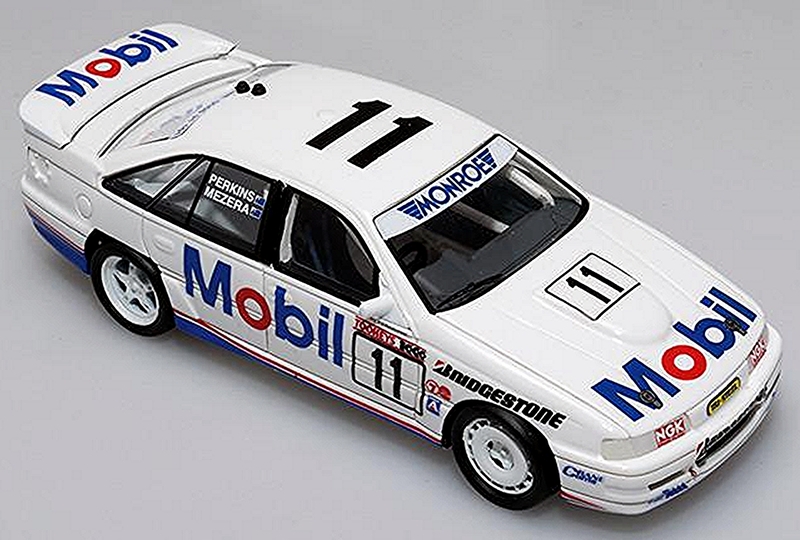 Holden VN Commodore SS Group A Larry Perkins and Tomas Mezera, 1991 Tooheys Bathurst 1000. 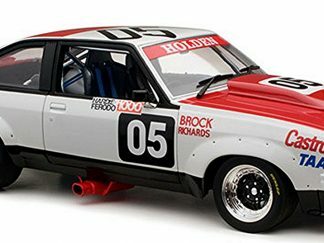 This was the first time Holden teams took the new VN to Bathurst after three years in the fuel-injected ‘Walkinshaw’ VL and the learning curve was steep. Early in practice officials deemed the #11 Commodore too loud. 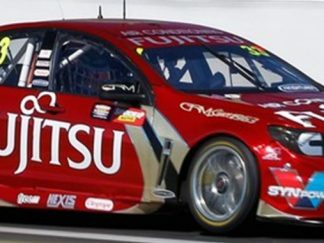 Perkins was forced to change to a quieter exhaust system and spent much of the remainder of practice tuning the handling of the new car to the track. By the end of Thursday’s running the Perkins car was well established in the top 10 on the timesheets. 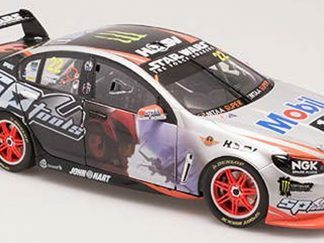 The-then three-time Bathurst winner spent Friday honing his race set-up, not interested in blistering qualifying times given Sunday was the focus. 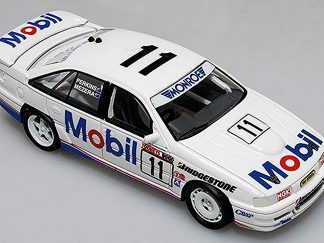 Perkins was the fastest Commodore in qualifying at Bathurst in 1991 with a time of 2m16.2s, quicker than teammate Brock and more importantly quicker than both of the factory Holden Racing Team cars. Despite this qualifying speed, Perkins still had his eyes on the prize and ran his race engine in the Top 10 Shootout. The result was eighth position on the grid with a time of 2m17.02s. 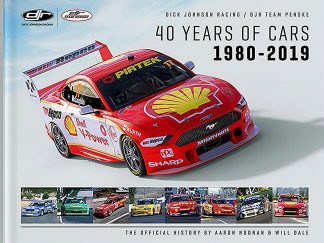 On race day Perkins didn’t make the best of starts but once the early pace settled down he moved into seventh place behind teammate Brock – but an intermittent engine misfire began to develop. Perkins pitted for tyres and fuel on lap 33 and handed the car to Mezera, who pushed up to fifth position before disaster struck. The 1988 race winner returned to the pit lane on lap 65, ominously rolling up pit lane with the engine already shut down. 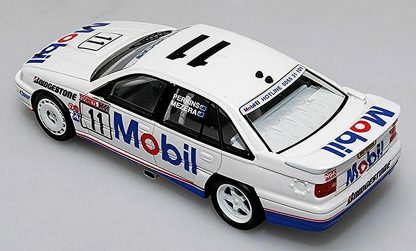 An early radio failure meant the team had no warning of an issue with the #11 Commodore, so Mezera’s appearance on the pit lane was a surprise to them. 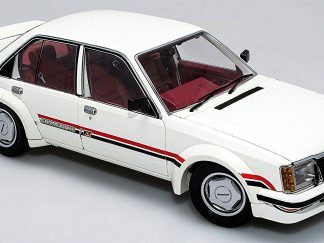 The misfire had degenerated into a dropped valve, likely a result of the free rev-limit allowed as part of the 1991 regulations. The Perkins/Mezera VN Commodore was pushed to the rear of the pits, its race over. Brock and Perkins competed together twice more in 1991 – in separate cars at the Adelaide Grand Prix meeting and together in the Nissan-Mobil 500 races at Wellington and Pukekohe in New Zealand, though their partnership ended once the season finished and they again went their separate ways. Features clear windows, a nicely detailed interior, beautiful finishing and will be presented in a clear jewel acrylic display case with stamped base plate. 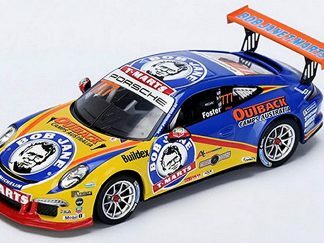 It will be produced in a limited edition and will come with a numbered Certificate of Authenticity. 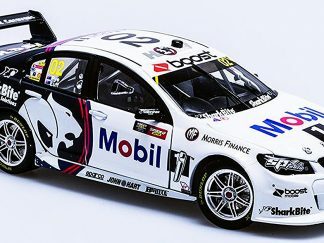 *Holden Racing Team VF Commodore James Courtney / Jack Perkins 2015 Bathurst 1000 Launch Car.